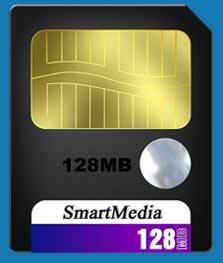 ﻿ Smart Media Data Recovery Software: Download Smart Media Data Recovery now to see your lost photos. Recover Photos with Smart Media Data Recovery Software. Smart Media Data Recovery - Get your photos back! Photo data recovery is simple with Smart Media Data Recovery. Download and install the FREE evaluation version on your computer. Run Smart Media Data Recovery. Then.. Most digital cameras do not wipe photos from your storage media when you delete photos or use the format command. If your digital camera storage media is corrupt and you get the message "Media is not formatted would you like to format now? ", your photos may still be recoverable. Smart Media Data Recovery can save the day. Smart Media Data Recovery searches your media at a low level to recover deleted photos and display them to you. The software works with many types of direct camera connections where you media card appears as a drive letter on your PC. If your camera is not displayed as a drive letter when connected to your PC you can use a digital camera card reader. This recovery software is fast and easy way to undelete memory cards. No technical skill is required to recover deleted photos or unformat a card. Smart Media Data Recovery will recover from Compact Flash, Memory Stick, SmartMedia or other storage media, including your PC hard drive. Any pictures that you see in the free download version can be safely recovered once you have registered the program. A software registration key is provided on-line at the end of the secure purchase process and is also sent to you by email for fast recovery. Recovered photos need to be saved to separate drive (e.g. 'D:/') from the one on which they were recovered. Activation of this software includes free lifetime updates and support. We are the experts in digital camera photo recovery. If you would like a feature added into Smart Media Data Recovery please do not hesitate to contact us. We have the experience to safely recover your deleted digital photos. If you would prefer that we attempt smart media data recovery on your behalf we can arrange to take an image of your storage card (an identical copy) that can be sent to us for analysis. If your photos can be recovered we will email them back to you. No recovery, no fee. If recovery is successful the maximum cost will be US $29.95 and we will send you a registration key for Smart Media Data Recovery. Download Smart Media Data Recovery software now..